Gluttony - one of the seven deadly sins. Eating in excess. Taking food with too much eagerness. Seeking delicacies and better quality of food. Stuffing ones face at irregular intervals because we can. All of this is punishable from a religious standpoint. Thankfully, Salem has no priesthood that can publicly punish you for overindulgence. As a matter of fact, being gluttonous is a requirement to make it in the New World. But it takes tactic – finesse even – to benefit from this manner of living. 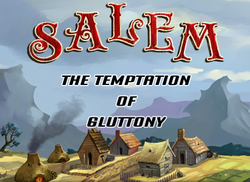 The focus of this article is to learn the basics of Salem gluttony and how to use it to our advantage. Before we delve into how to become big and strong I would like to recommend reading up on what kind of game Salem is and also the type of game client I currently recommend. Pilgrims of the New World have four basic stats to measure their capabilities. They are collectively called Humours and are displayed as colourful bars at the top of the screen. Blood (red bar) is a measure of health. Getting hit by animals and players, or breaking a tinder drill will hurt you. Phlegm (grey bar) is a measure of endurance. Crafting and climbing cliffs drains this bar. The higher the stat, the better and faster you can destroy structures. You can also dig ground for longer periods with high phlegm. Yellow bile (yellow bar) is a measure of combat power. You can inflict more damage and stay in combat longer with a high Yellow bile. Black bile (green bar) is a measure of your learning capability. With a high stat the more items you can study and the more structures you can place before the bar depletes. Every character starts with 5 in all humours. When hovering the bars at the top a miniature text segment shows 5/5/5 on all bars. It means those bars are full. If the numbers were to say 5/10/15 on Phlegm it means that the current amount of Phlegm is at 5 points and you have eaten something that will restore the bar 5 points, and that the total amount of points you have are 15 points. If any of these humours drop to 0 you will get knocked out for a brief moment. When you come to, the bar that depleted will remain at 0 until you eat something to restore it. All types of food (that I have come across) restore at least 1 humour, except the Devil’s Wort. It drains Blood and Black bile when eaten raw. It has no negative effect when used in cooking. In the case of Berries-on-a-Straw, it heals 4.7 points to all humours. Every piece of food has alchemic values – salt, mercury, sulphur and lead. Food that is not home-grown has equal amounts of all four values, which means that there is a 25% chance that any of the alchemic events will happen when eating in Gluttony mode. At first glance the colourful numbers at the bottom of the info segment may seem confusing, and they are. It took me quite a few days of reading and understanding because I was, at the time, unable to gather food to try the system effectively. In my case, I got hung up on the colours of the events and the colours of the humour bars. Instead, it’s a case of matching the events to the alchemic values – which seems so obvious now. Horizontal numbers refers to the alchemic elements. Vertical columns refer to Blood, Phlegm, Yellow bile and Black bile – in that order. So, if the sulphur event (blue) happens when eating Berries-on-a-Straw, it fills up the humour bars with 7 points to Blood, 0.2 points to Phlegm, 0.9 points to Yellow bile and 0.7 points to Black bile. Once a bar has filled up that humour increases by 1 point. The points required to level up a humour are equal to the highest humour. What does purity multiplier do? Hard at work farmers are able to grow quality crops by planting the very best of their seeds. The crops adopt the alchemic element of the seeds when harvested, which in turn influences the food made from the crops. Purity affects the probability of events. If the alchemic element of a food item is mercury and the purity multiplier is greater than 1, there is a greater chance of the mercury event happening than any of the other events. According to those who know more than I do, if purity is 2.0 there is a 50% chance that the mercury event happens and 50% that any of the other 3 events happen. Purity is also said to improve the effectiveness of inspirationals and how much proficiency points they give. This is beyond my expertise for the time being, but I do hope I will experience this in the future. The easy part of gluttony mode is activating it. All it requires is full humour bars for the black bar with its forks to drop down below the humour bars. Clicking the bar changes the mouse cursor into a fork. Clicking food in this mode trigger the events of the food. As previously mentioned, food add points to the humour bars depending on the event that just happened. Some foods are considered ‘fast food’ and others ‘slow food’. It means it takes either less or longer time to consume them. This is very important to keep in mind because once you have eaten something the bars starts to drain slowly and you want to keep munching to benefit from it fully. As if this wasn’t stressful enough, invariance is the nasty side effect of gluttony. It kicks in shortly after the first bit of food has been consumed. The higher the invariance number, the faster the bars drain. The only way to reset it to 0 is to level up any of the humours. Eating a new piece of food may decrease the penalty by 1 point, but it usually makes no difference in the long run. All bars will be depleted once a humour has increased. Remaining points will not carry over if you keep consuming food. I should also mention that two blocks with bars appear in the middle of the screen once you start eating food. The lower block shows the different events the food offers. The above block is nothing more than fluff – an animation to show which event actually occurred. Between them is the eating progress bar. Plan ahead. Collect enough food, based on the lowest event number of the humour you want to increase, that covers the number of your highest humour. This way you’re almost guaranteed to level up the humour of your choice. Build up humours in steady intervals. Try to keep them within 10 points of each other. Save your food if the chance of increasing a humour with less than 10 pieces* is low. The invariance penalty will kick in quickly and will just result in waste. Ignore the two information blocks in the middle of the screen when in Gluttony mode. Instead, keep your eyes on the increasing humour bars as well as the food you eat. If you level up, eating more without enough to level again is a waste. Abort gluttony mode by right-clicking anywhere on the screen. You can also abort eating food the same way. 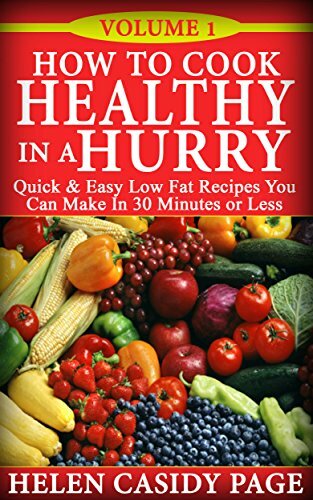 * The number may vary depending on how quickly meals can be consumed. The faster you can eat, the more you can eat while the invariance penalty ticks on at its regular speed. Choosing what to eat can be difficult. Here are a couple of suggestions for ‘early game’ gluttony. Honestly? This is not true gluttony. If it was we should be able to eat anything without having to worry about the invariance penalty or mix and match the right kind of meals. Allowing points to carry over after a level up could, in theory, improve the build up of stats. But changing the system now would have a horrible effect on the greater scheme of Salem. Some characters are already overpowered with humours in the 300-400s and we don’t need more before other aspects of the game have been balanced.